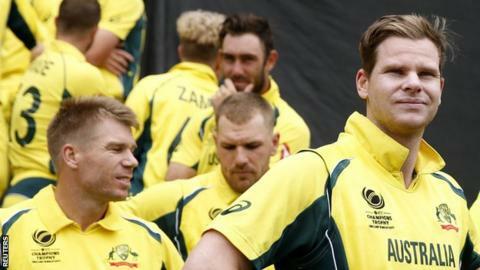 More than 200 of Australia's senior cricketers will be "unemployed as of 1 July", says Australian Cricketers' Association president Greg Dyer. The current agreement between Cricket Australia and the country's top players expires on 30 June and no new deal has been struck. "It is extremely likely that as of 1 July we'll be jumping over the cliff together," said Dyer. "The fundamentals of the deal are nowhere near to being resolved." Former Test wicketkeeper Dyer added: "We will be assisting in whatever way we possibly can in that but they're unemployed." In March, Cricket Australia proposed salary increases for men and women as part of a revised memorandum of understanding, but that meant players would no longer receive a percentage of the organisation's revenue. This was rejected by the Australian Cricketers' Association, who also turned down a recent revised pay offer. The dispute has put a question mark over the Australian men's team playing a two-Test series in Bangladesh scheduled for August, while they are scheduled to host England in the Ashes from 23 November to 8 January, 2018. The women's team is currently in England for the Women's World Cup and are under contract until the end of the tournament.